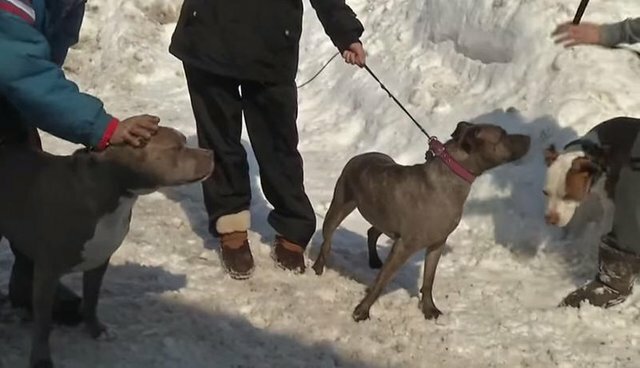 Three rescued pit bulls returned the favor on Monday when they alerted their humans to a fire in the family home, getting everyone out minutes before the entire house burst into flames. 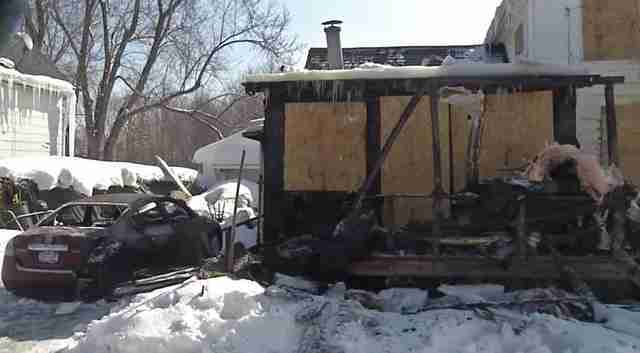 The Pruchnicki family's three pits, two of whom were saved in a dog fighting raid as puppies, woke the family at 3:30 a.m. to tell them about a fast-growing fire on the front porch of their home in Farnham, New York. 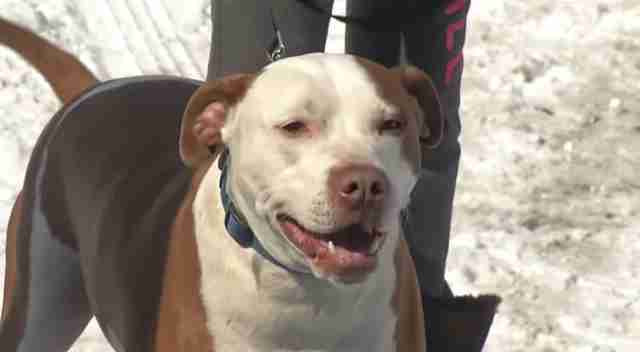 Dave Pruchnicki told local news outlet WIVB that the humans were woken by the sound of one of their dogs, Shrek, barking especially loudly: "He was halfway up the stairs and he usually doesn't come up the stairs at all. You know he was telling us to get out." Thanks to the dogs' warnings, the Pruchnickis were able to grab their 5-year-old son out of bed and escape their home moments before the whole house was engulfed in flames. Though their home was destroyed, the family and their three heroic dogs are safe and staying with relatives, thanks to the pups' actions. "We rescued them, and they rescued us so I think we're even now," Dave told reporters. You never know when a dog you rescue might end up saving your life. 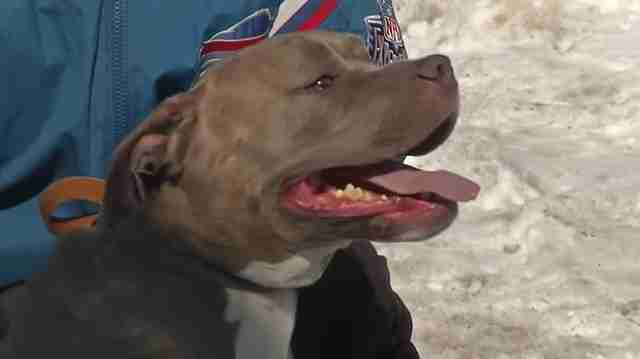 Meet five other rescue dogs who went on to rescue their owners.